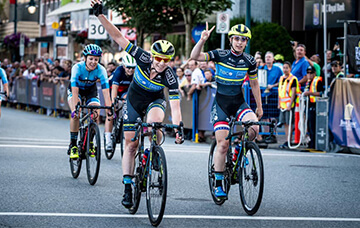 Team TIBCO-SVB is the longest running professional women’s cycling team in North America. Since 2004, the team’s mission has been to help aspiring female cyclists achieve their dreams of becoming top International competitors. 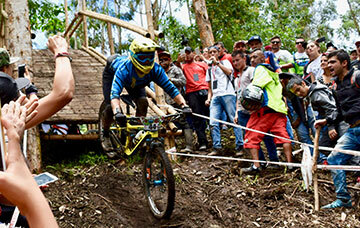 The team has had numerous riders named to Olympic and World Championship squads and has produced several national champions. 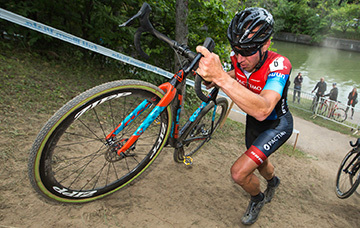 Beginning with the 2018-19 season Jeremy Powers joins Fuji Bikes as a cyclocross and gravel racing athlete with a focus on winning the US National and Pan American Games championships. His accomplishments include 90+ UCI victories and four US National Cyclocross Championship titles. 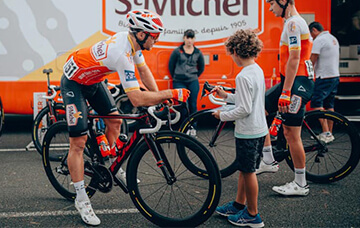 One of the oldest teams in France, St Michel-Auber was founded in 1948 as a cycling club. After becoming one of the most successful amateur teams in the 1980's and early 1990's, the club became a professional team in 1994. 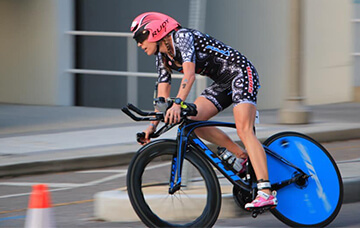 One of the most successful professional triathletes in USA, Olympian, Pan American Champ and Mom, Sarah Haskins has been racing on Fuji since 2010, with 37 professional victories including 5x 70.3 Ironman, 3x Toyota Cup Championships, 7x St. Anthony’s Triathlon, we are proud of being part of her tremendous success. Stablished in 2012 in Japan, Team UKYO is one of the best Road teams in Asia. 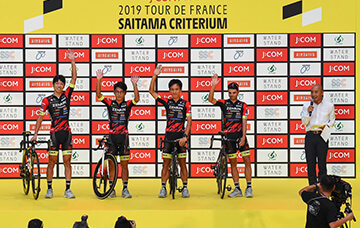 In 2018 they have taken the overall victory at the Tour of Kumano, the first stage of the Tour of Taiwan and the top spot at the Tour of Korea. 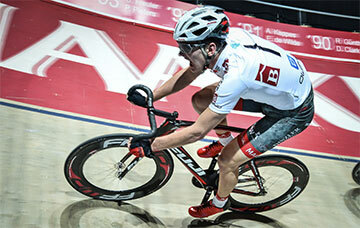 Competing in the global track events for the past decade the Maloja Pushbikers Cycling Team continue to reign over top steps at Six Day Cycling competitions worldwide. 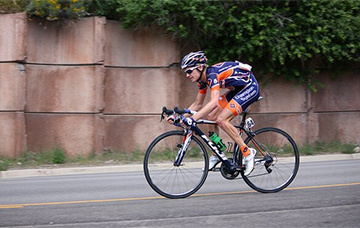 Its Continental road team helps develop talent on the UCI Europe Tour. New addition to our Fuji Family the UCI Continental Team Pushbikers is based in Austria and will continue to develop talent in the region. 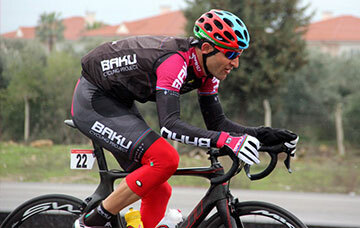 Founded in 2013 Synergy Baku Cycling Project is an Azerbaijan Continental Team that has focused in developing young riders into top level competitive cyclists. 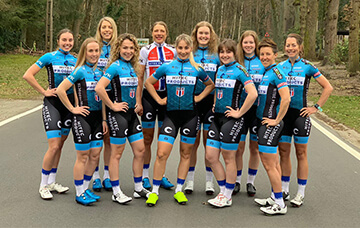 Mat ATOM Deweloper is the most successful Women's Cycling team in Poland, founded in 2016 by the Olympian Paulina Brzeźna-Bentkowska they have accomplished all their victories on Fuji Bikes. Winner of the 2015 and 2016 California Enduro Series as well as the 2017 North American Enduro Tour and the 2017 California Golden Tour series Amy is a member of the Fuji Factory Enduro Team. 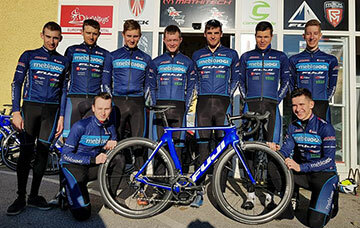 Stablished in 2017 the Slovenian Elite and Under 23 Cycling Team is focused on the development of young competitors as well as professional cyclists. "The Auric is a super stable bike when you want it to be, quick in the corners, and rolls fast in the pedally sections of trails". Pan-American Track Champion, USA Crit Series Champion and a decorated sprinter racing on Fuji bikes with teams Toyota United and Fuji-Servetto. 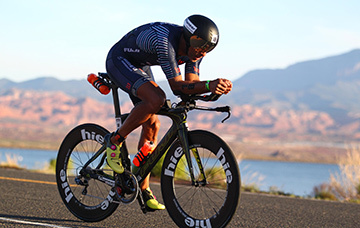 Ivan makes his return to the Fuji family racing as a professional triathlete. 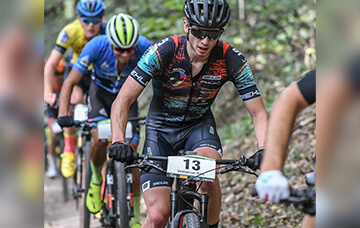 With an impressive Palmares including 3 times the National Collegiate Championships, finishing 8th Tour of Utah, winning the Queen Stage Tour of Hungary, after 5 years racing in the World Tour and Pro Continental level Chris continues to represent Fuji Bikes as an ambassador. Winner of the 2018 Cherry Blossom Challenge, Shane Kline is one of the most successful USA athletes on the road scene, he will be focusing all his energy on representing his country at the Olympic Games Tokyo 2020. 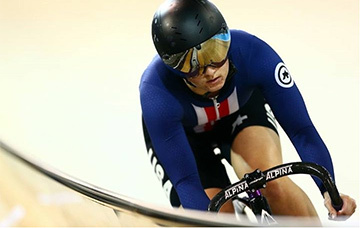 World Cup gold medalist and Pan American Bronze medalist, Maddie races the Track Elite representing the USA Track Team in the world stage. 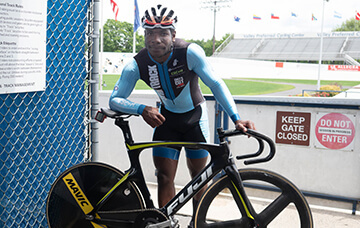 Joshua’s relationship with cycling grew in his hometown of New York City where he raced in Prospect Park and then moved onto the track at Kissena. Today he is a member of USA Cycling’s Olympic development squad where he’s training to reach his dreams of the 2020 games in Tokyo. 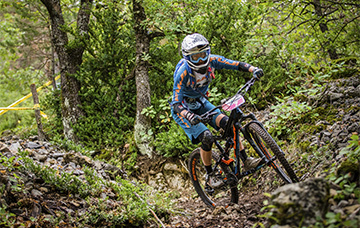 After finishing in 7th overall in the 2015 Enduro World Series season Meggie joined the Fuji Factory Enduro team for the 2016 and 2017 seasons bringing the Auric to the international stage. Presently she represents Fuji Bikes as an ambassador. Dutch Junior National Triathlon champion representing Fuji in the international triathlon scene. Her junior European Triathlon Union race record may be short but it boasts many top ten results. 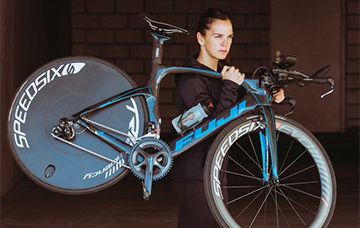 Natascha is a professional triathlete from Germany with two Ironman 70.3 race wins. She also works as a professional trainer, sharing her success-proven knowledge to other athletes. Racing in cross triathlon and long triathlon races Maria is a professional triathlete from in Spain. In 2016 she placed 10th in the Long Distance Triathlon at World Championships. 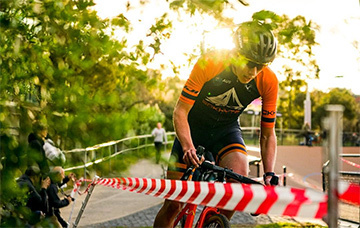 After winning the Junior National Australian Cyclocross Championships in 2016 Ben Walkerden has been representing his country and Fuji Bikes around the globe. 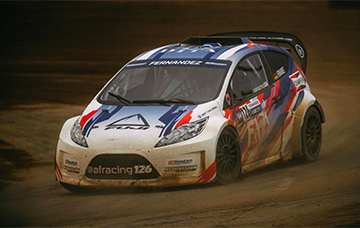 One of the strongest contenders in Global Rallycross, in 2018 Arpin will race at the Americas Rallycross Championship with races scheduled in the USA, Canada and the UK. Steve trains year-round for the racing season. Bikes are an essential part of his personal training and invaluable tools for his crew on race days! 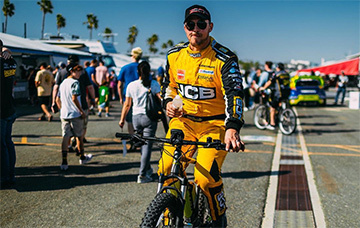 After many accomplishments in the BMX world, Alejandro decided to take on a new racing journey and became one of the best drivers at the Red Bull GRC Lite Series. Cycling is crucial to his training and he uses his SL 1.1 to warmup just before getting in the car every car race. 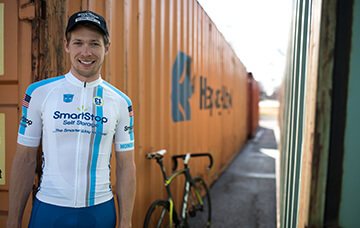 Actor, Producer, Celebrity Chef, and World Diabetes Advocate, Charles includes cycling as part of his daily routine to promote physical activity. 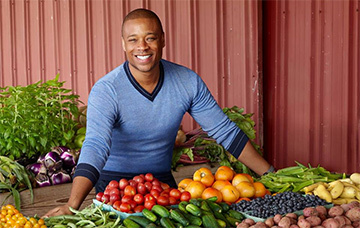 Charles’ hit TV show, Reversed, is the first ever reality documentary TV series which focuses on diabetes.